The press release is an underappreciated form of content marketing. Unfortunately, too few business owners and marketing specialists have a “handle” on how to utilize press releases effectively. Many businesses churn out embarrassing numbers of press releases for events that aren’t really newsworthy, alienating prospects and current customers in the process. Others simply aren’t up on the proper uses of a well-executed press release so they tend not to utilize press releases at all. When it comes to press releases, there’s most definitely a happy medium between these two extremes. Knowing where that medium lies is key to a successful outreach strategy that boosts your company’s visibility and drives traffic to your digital doorstep. In fact, a well-executed press release strategy could dramatically improve your ability to reach prospective customers and differentiate your company from the competition. Your press release’s headline is arguably its most important component. Since you’re likely to be writing your press release for SEO purposes, it’s also the best place to include your primary keyword. Make sure your release’s headline kills both birds with the same stone – marrying an eye-catching headline with a well-placed keyword or phrase. A press release might be a great vehicle for touting your company’s achievements, but its readers are apt to see right through a wishy-washy premise. If you can’t clearly convey why the reader should care about the event or achievement you’re promoting, your press release hasn’t done its job. Whenever possible, use hard facts and figures to back up any claims made in your release. The first few hundred words of a longer document, such as a white paper, comprise the “grab.” The grab’s goal is to hook the reader in and make it impossible for him or her to put the paper down. When you’re writing a press release, you don’t have the luxury of a 300- or 400-word “grab.” You might only have a line or two to convince the viewer to continue reading. If you squander that opportunity, he or she will drift off to the next press release. With this in mind, make sure the first sentence of your press release succinctly sums up the document’s purpose and gives the reader ample reason to continue. As you think up an appropriate press release topic, take care not to appear too self-centered. It’s common for marketing staff to go straight for well-worn, self-congratulatory topics like the announcement of a record-breaking sales quarter or the opening of a new facility. 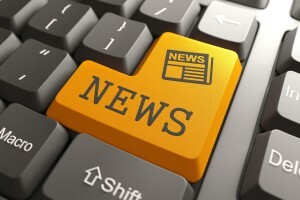 However, the most effective press releases often highlight the achievements of others. For instance, you might issue a release that announces the hiring of a highly-accomplished new executive and devote the bulk of the words to recounting his or her achievements. It’s common for business owners and executives to put their own names and/or contact information in the “contact” section of the press releases their marketing subordinates or agencies create. If you’re the leader of a smaller firm and plan to speak with everyone who responds to your release personally, this approach is totally fine. On the other hand, top executives or principals shouldn’t include personal contact information if they can’t afford to have their phones ringing off the hook with press inquiries. In larger organizations, it’s always better to list a dedicated contact person such as a marketing director or outreach coordinator. If necessary, that person can always make higher-ups available for interviews or comments. As long as it makes sense to do so, quote a key employee or relevant outsider in your press release. Quotes are important for two reasons. First, the name of the quoted individual often has value as a keyword or phrase, particularly if the person is well-known in your industry. Secondly, time-pressed media types often simply cut and paste quotes from press releases into their stories. A quote is a great way to tell your side of your story without any pushback, spin or filtering from those covering your company. When you pour years of blood, sweat and tears into a business, you come to care about it more deeply than words can express. It’s only natural to want others to feel the same passion. Unfortunately, you can’t count on the average press release reader to feel anything near the amount of emotion you feel for your business. It’s in your best interest to keep your releases short, sweet and full of actionable information. Are you ready to roll up your sleeves and write a press release for the ages? If you can follow the press release tips outlined above, you’ll be well on your way to crafting memorable releases that pique the public’s attention and drive qualified leads to your digital doorstep. On the other hand, there are plenty of ways to alienate prospects with dull or pandering press releases. Ultimately, it’s up to you to ensure that your efforts don’t backfire on your business.